After three months of consuming the special cocoa concoction, someone with the typical memory of a 60-year-old improved their memory to that of a 30- or 40-year-old, the researchers reported. But, these findings don't mean the average person can boost their powers of recall with commercially available chocolate or cocoa products, the researchers cautioned. And a senior official with the Alzheimer's Association raised similar concerns. "This is really not about chocolate," said study co-author Dr. Scott Small, director of the Alzheimer's Disease Research Center with the Taub Institute at the Columbia University Medical Center in New York City. "And it would be detrimental to one's health to try and run out and get flavanols from chocolate, which exist in chocolate, but in minuscule amounts." The study authors pointed out that flavanols are found (to varying degrees) in many types of foods, including tea leaves, fruits and vegetables, as well as raw cocoa. However, the manner in which most consumer chocolate products are produced renders them flavanol-free. The study therefore relied on a process -- developed by the food company Mars Inc. -- that could specifically preserve and isolate the flavanol in powder form, before being mixed into either water or milk for consumption. 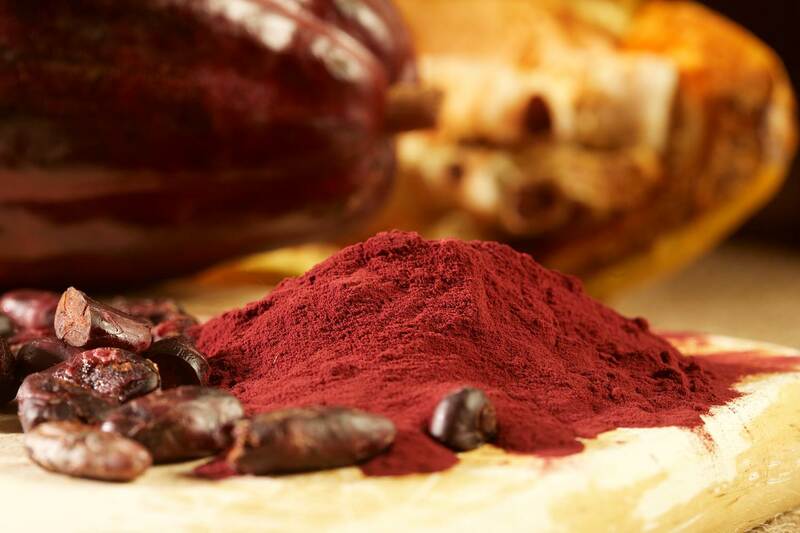 The new study included 37 healthy volunteers between the ages of 50 and 69 and placed them on diet enriched with raw cocoa flavanols. Participants were randomly assigned to receive either a high-flavanol diet (900 milligrams) or low-flavanol (10 milligrams) diet for a period of three months. Both before and after the study period, each volunteer underwent brain scans to monitor changes to a specific area of the brain called the dentate gyrus region, an area suspected to be important in age-related memory loss. Brain area outlined in yellow is the hippocampus; the dentate gyrus is shown in green and the entorhinal cortex in purple. Changes in a specific part of the brain's hippocampus, the dentate gyrus, are associated with normal age-related memory decline in humans and other mammals. Lab of Scott A. Small, M.D. Also, all of the volunteers completed a modified version of a well-established 20-minute memory test based on pattern recognition skills. This type of memory is known to be modulated by the dentate gyrus region. The result: those in the high-flavanol diet group ended up scoring significantly higher in post-diet testing than those in the low-flavanol diet. The high-flavanol group also demonstrated improved memory at the end of the three-month experiment, relative to their own abilities before starting the diet. "What is interesting here," he continued, "is that this is the first study to show a causal connection between a specific area of the brain and age-related memory loss." The investigators said more research is needed to further confirm and expand on the findings among a larger pool of participants. "The byproduct of our main finding that links this part of the brain to memory decline is that our dietary intervention did appear to ameliorate the situation," said Small. "Yes, we need to replicate the finding in a larger population, in order to see how fast the effect takes hold and how long it lasts. But this study took us six years to complete because it was carefully done. So, I really have very little doubt about the replicability." Still, Keith Fargo, director of scientific programs and outreach with the Alzheimer's Association, raised questions regarding how broadly the findings should be interpreted. "This work was conducted at the very highest level of medical evidence that there is," he acknowledged. "But it's not clear whether the dietary intervention they identify would have any effect whatsoever on any other measure of [memory], other than on what they specifically measured. And those measures, I would say, were rather narrowly drawn." At the same time, Fargo said that the general notion that diet might affect brain health is "very plausible." "Many groups have pursued a link between dementia and heart health," he noted. "And we all know how much diet and exercise can affect your heart health. So it's very possible that diet can also affect brain health as well. It's certainly something that we need to research more." Small and his colleagues discuss their work, which was funded in part by Mars Inc., in the Oct. 26 issue of the journal Nature Neuroscience.